Your RV gives you the opportunity to travel to amazing places via road trip, and the continental U.S. is filled with a spectacular array of natural phenomena that will take your breath away. Don’t miss out on Mother Nature’s raw beauty. Traversing three states and accessible by the park’s 300 miles of road, Yellowstone Park is in and of itself a natural wonder. 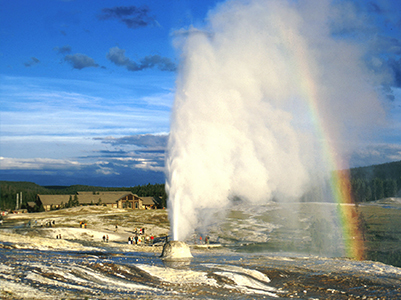 The park contains a diverse array of hydrothermal features including spectacular geysers such as Old Faithful, Grand Prismatic Spring, an intensely rainbow-colored 160 degree hot spring, pools, waterfalls, mud pots, and more. The park also boasts several mountain ranges, a large number of high peaks, the Grand Canyon, and a broad array of wildlife. In addition to its natural wonders, it also provides spectacular visitor centers and museums to enjoy on your road trip. 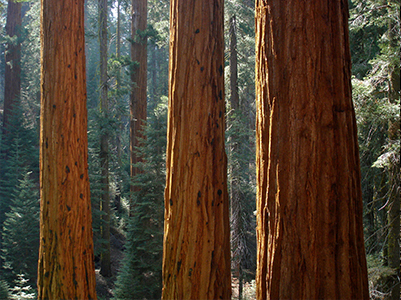 The tallest trees on earth, the mammoth redwoods at Redwood National Park include giants five stories taller than the Statue of Liberty which can live to be 2,000 years old and over 360 feet tall. The park preserves over 110,000 acres of redwood forests and 50 miles of Northern California’s scenic coastline on this awe-inspiring road trip. 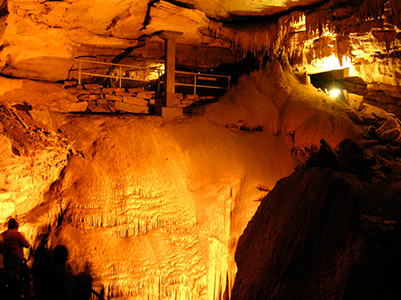 The world’s longest known cave system, Mammoth Cave is so large that even after mapping 400 miles of passageway, thousands of years later the full extent of its confines remain a mystery. Open spring through fall, 10 miles of this limestone labyrinth are available for tours, from short quarter mile hikes to four mile treks and a five mile, six hour, belly crawling exploration. 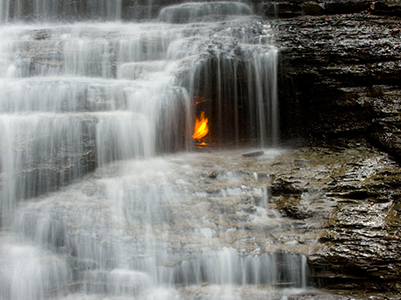 One of the most unique waterfalls in the U.S., Eternal Flame Falls is a 30 foot high waterfall cascading over a cave that houses a natural gas spring. When ignited it creates a flame 4-8 inches in height. Visit in the early spring or after long bouts of rain for the best view. Beware, however, the hike up to the falls smells faintly of rotten eggs. 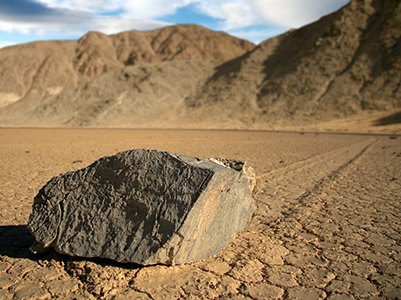 In this natural geologic phenomenon observed in Death Valley National Park, heavy stones leave trails, appearing to move across the dried, polygonal cracks in the lakebed of Racetrack Playa. Puzzling scientists for years as no one has ever witnessed these occurrences, how the rocks move still remains a mystery. Theories have been postulated ranging from ice to wind and rain to magnetic fields. Be advised: a high clearance vehicle is recommended for this 28 mile dirt road trip that begins near Ubehebe Crater as road conditions can be rough and the playa surface very fragile. If your road trip falls flat due to tire trouble, trust Coach-Net to get you back on the road. Coach-Net is there to ensure the safety and security of your RV and your family. For more information on our RV-specific roadside assistance plans, visit www.coach-net.com.